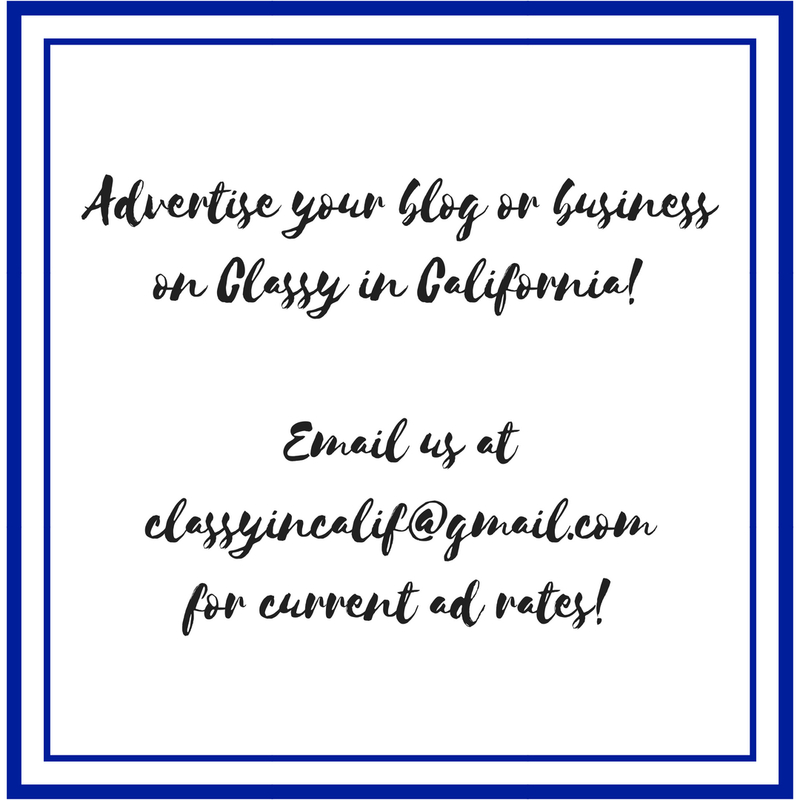 Classy in California: Whitening Sensitive Teeth at Home + Giveaway! I have always tried really hard to keep my teeth as white as I possibly can, but it can be a big struggle sometimes because I love drinking coffee! 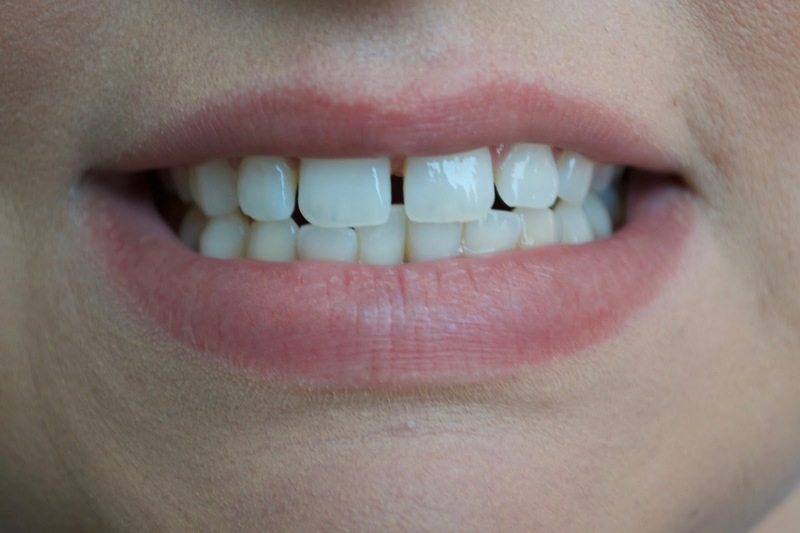 I have tried all different kinds of whiting toothpastes, mouth washes, and whitening strips, but they all have some downsides or don’t work as well as they claim. 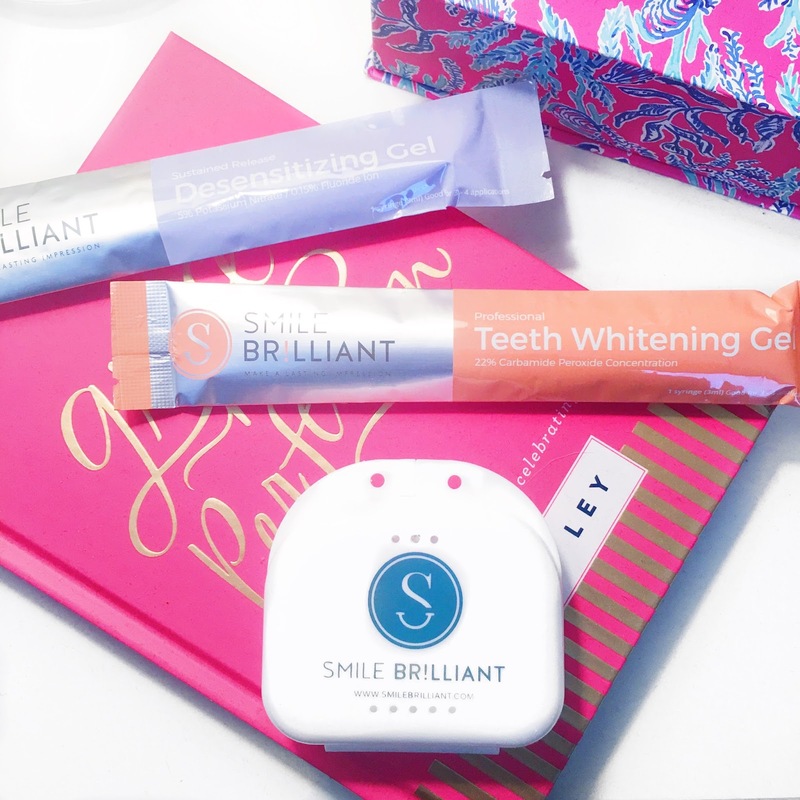 I was so excited when SmileBrilliant asked me to test out their whitening kit and share my experience here on the blog! Keep reading if you want to know how to get amazing whitening results at home, see my results, and possibly win a kit of your own! 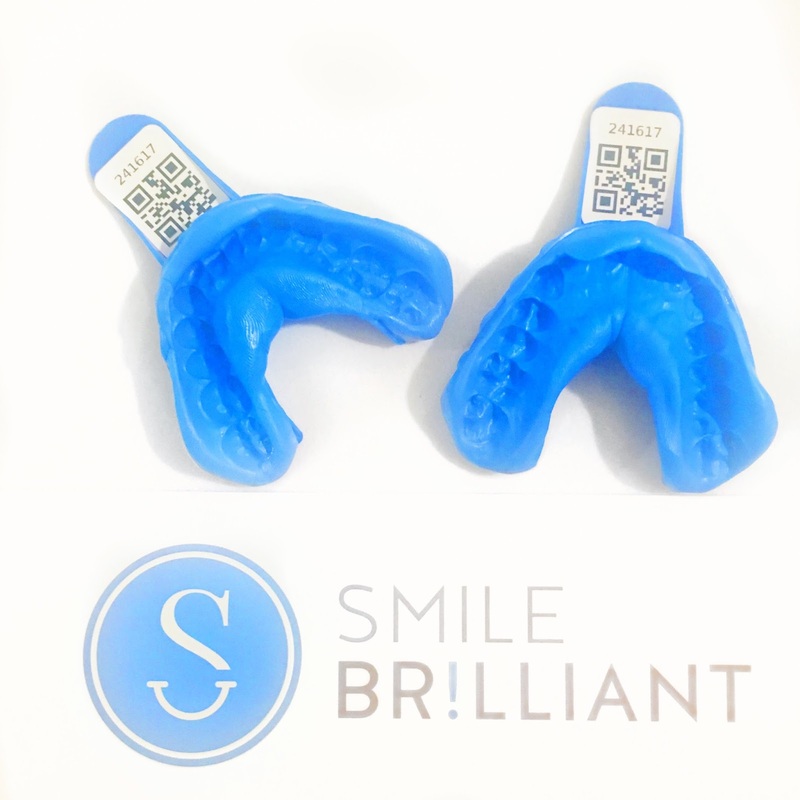 When you first get the kit, you have to make your own molds of your teeth so that Smile Brilliant can make your custom fit trays. I think this is so awesome because it really makes your whitening experience so much better! Honestly, I was really intimidated by having to make my own molds, but it definitely was not as hard as I expected it to be. First you have to mix together one container of the blue base paste and one container of the gray catalyst. Once it is mixed together into a solid blue paste, you place the mix evenly into one of the trays. You make the molds for your top and bottom sets of teeth one at a time. To make the mold, you place the tray into your mouth and press it into the teeth, making sure to hold it firmly in place. (Tip: Keep a lot of paper towels handy because you are going to drool a lot!) You repeat the process for the bottom teeth as well! Luckily, Smile Brilliant sends an extra set of the base paste and the catalyst just in case you make a mistake. I ended up redoing my top teeth to get a more precise mold. Once you have your molds ready to go, you place them into a pre-paid return envelope and send them off! 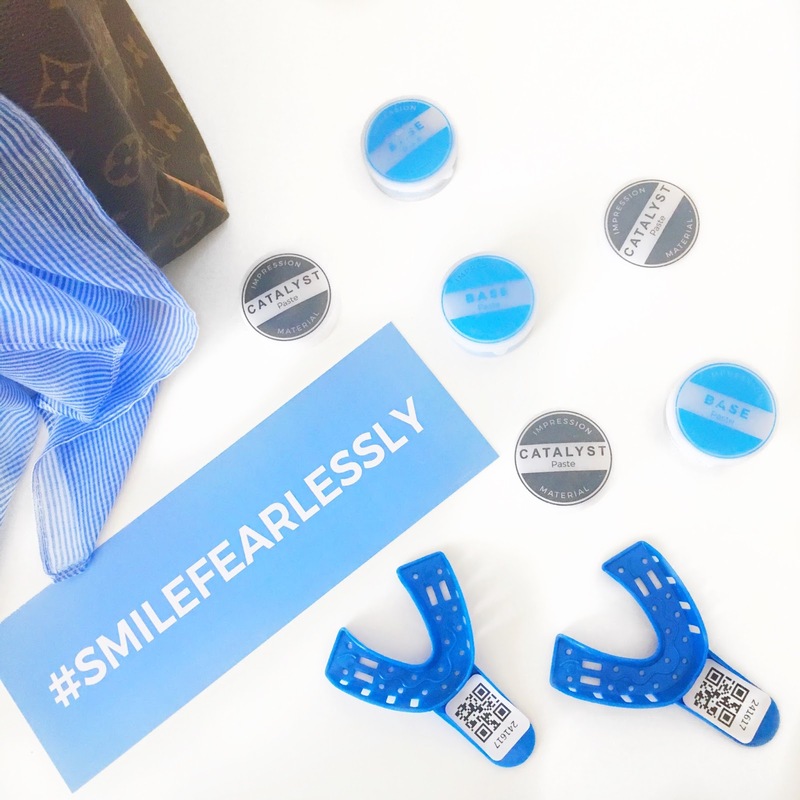 The turn around time to getting your custom teeth whitening trays is super fast and I was really impressed! Your custom teeth trays come in a really nice white, plastic case. The kits come with the teeth whitening gel in the orange package and a desensitizing gel in the purple package. 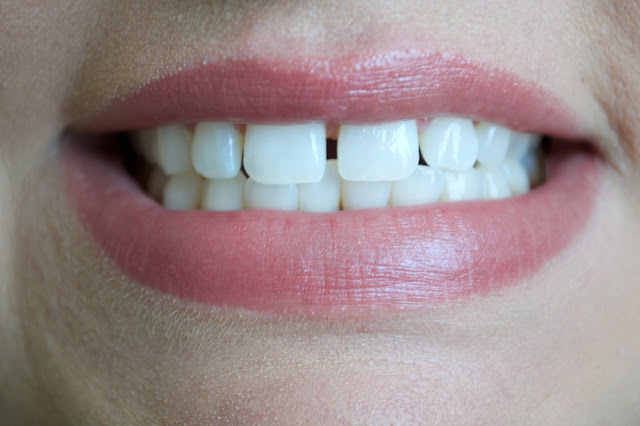 Teeth whitening is known for making your teeth suffer from some sensitivity and that can really detour people from trying whitening systems. This is what I really love about Smile Brilliant. They have already thought of that and they developed a desensitizing gel that really helps a lot with minimizing sensitivity! For best results, you should use the whitening gel daily for 1 to 3 hours, depending on your sensitivity level. I still found that I had some sensitivity even with the desensitizing gel so I used the whitening gel every 2-3 days for about 2 hours each time. I also switched to using toothpaste for sensitivity, which also helped a lot! I definitely could have gotten better results if I had been able to use the whitening gel daily, but I am still very happy with my results! My teeth before starting my Smile Brilliant kit were actually already fairly white. I did have some discoloration, especially in between my teeth. It was really hard to whitening in between my teeth using other whitening products, but the custom trays were actually able to get the whitening gel in there! Since my teeth were already pretty white when I started using the product, my results are definitely not as drastic as others that I’ve seen, especially in pictures. However, I have gotten so many compliments from people about how white my teeth are looking in person! 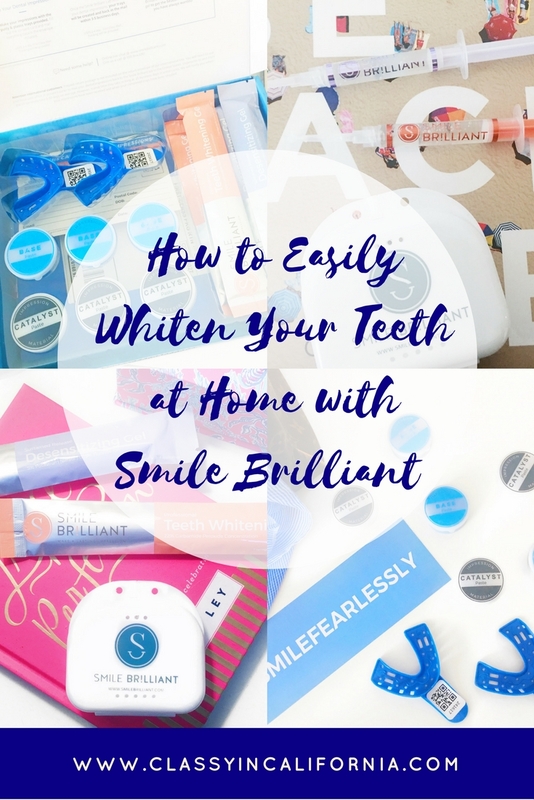 If you'd like to enter to win a whitening kit of your own, all you have to do is fill out the form at this link - www.smilebrilliant.com/g/classyincalifornia! This giveaway is open to residents of the USA, UK, Australia, and Canada! This giveaway will close after 7 days and the winner will be contacted via email through Smile Brilliant! If you want to purchase your own kit without entering the giveaway, you can get $20 off your custom fit trays by using the code CLASSYINCALIFORNIA20. *I received this product free from Smile Brilliant in exchange for my review. All opinions about this product are my own. Even though your teeth were already white, I can still see a noticeable difference! It looks amazing! It's good to know the process was so simple and that they help with sensitive teeth! I've tried whitening kits in the past and have had problems with my sensitivity! I entered the giveaway, so hopefully I get to try it out! 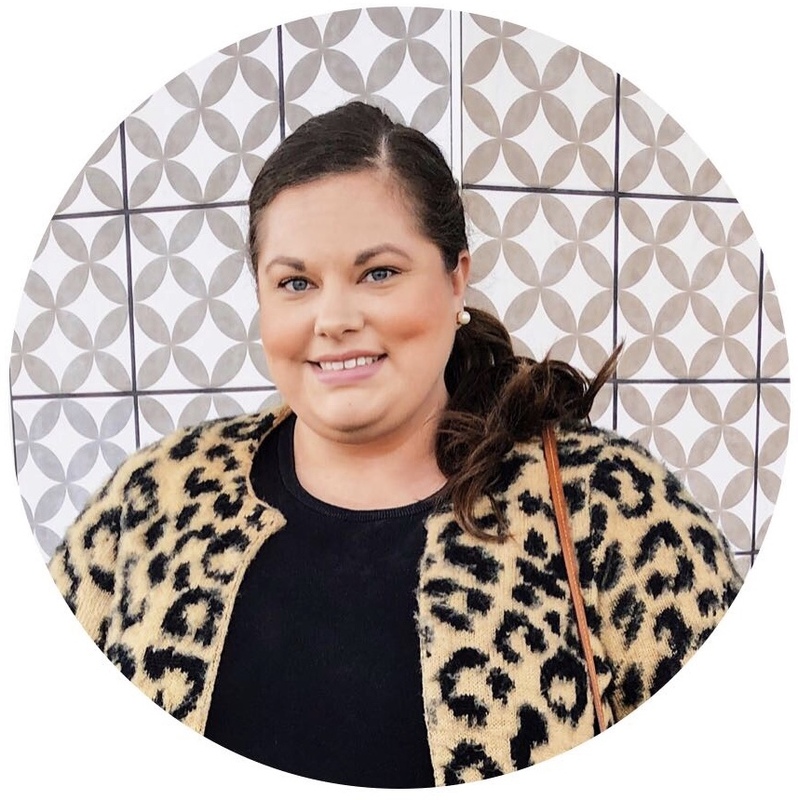 I can really tell that my fairly-recent coffee addiction is having an impact on the whiteness of my teeth... definitely useful to know about whitening methods for sensitive teeth!